The security situation is of concern. The trilateral contact group with the participation of representatives of Luhansk and Donetsk separatists has confirmed that the sides are ready to exchange prisoners based on the previously approved lists and to agree as soon as possible a procedure and a date of exchange to have it carried out by the New Year and Christmas holidays, Darya Olifer, the press secretary for Ukraine's representative in the group, Leonid Kuchma, has said on Facebook. She said that the security situation gives reasons for concern, with OSCE monitors registering frequent attacks on infrastructure, including on the Donetsk water filtering station, which is fraught with humanitarian and ecological consequences. Militant shooting near Stanytsya Luhanska blocks the withdrawal of troops and forces in the area. Ukraine also informed the OSCE about Soviet-made antipersonnel mines near Hladosove, which recently moved under control of the government forces. "Ukraine had destroyed antipersonnel mines (PMN-2) by 2011 in line with the Ottawa Convention which Ukraine signed in 1999. At the same time, Russia continues to use such mines. They were delivered through the uncontrolled sector of the Russian-Ukrainian border," Olifer said. 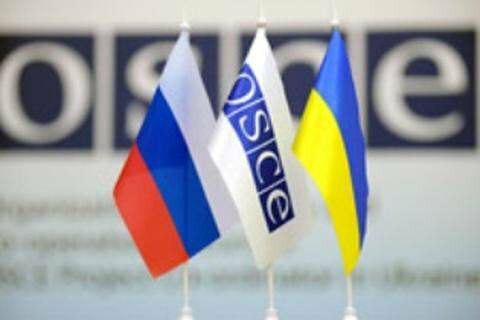 The Ukrainian delegation also drew attention to the incident with an OSCE monitoring officer who warmly greeted a Luhansk militant. "We consider this behavior unacceptable as well as the smiles of representatives of certain areas of Luhansk Region which accompanied the transfer of bodies of killed soldiers," she said.